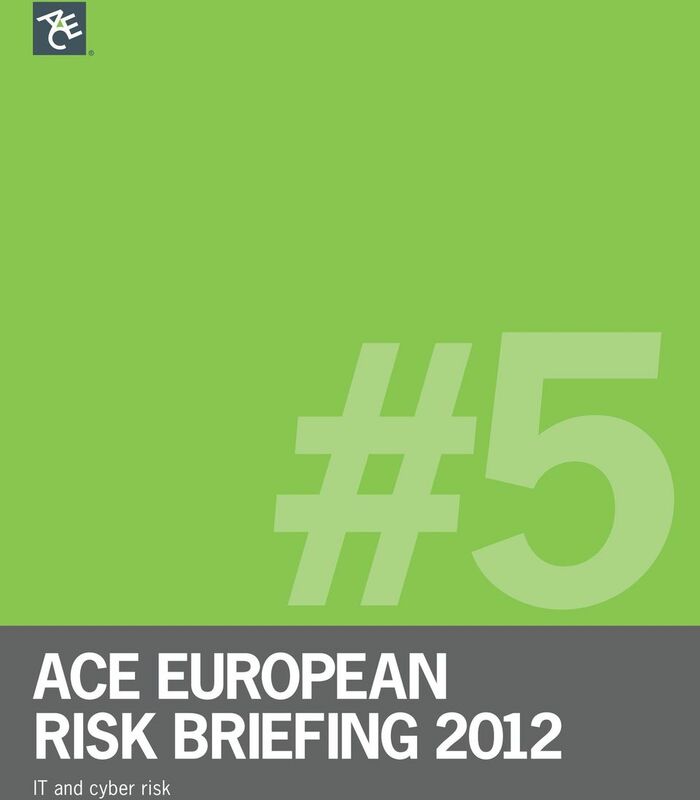 Download "ACE European Risk Briefing 2012"
RETHINKING CYBER SECURITY Changing the Business Conversation October 2015 Introduction: Diane Smith Michigan Delegate Higher Education Conference Speaker Board Member 2 1 1. Historical Review Agenda 2. 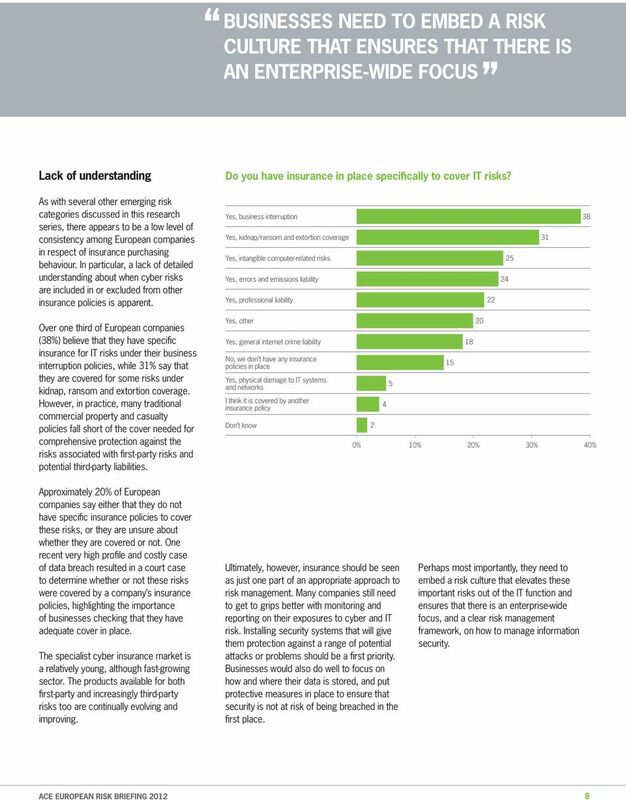 Research Results April 2015 Powered by Introduction Where are organizations investing their IT security dollars, and just how confident are they in their ability to protect data form a variety of intrusions? 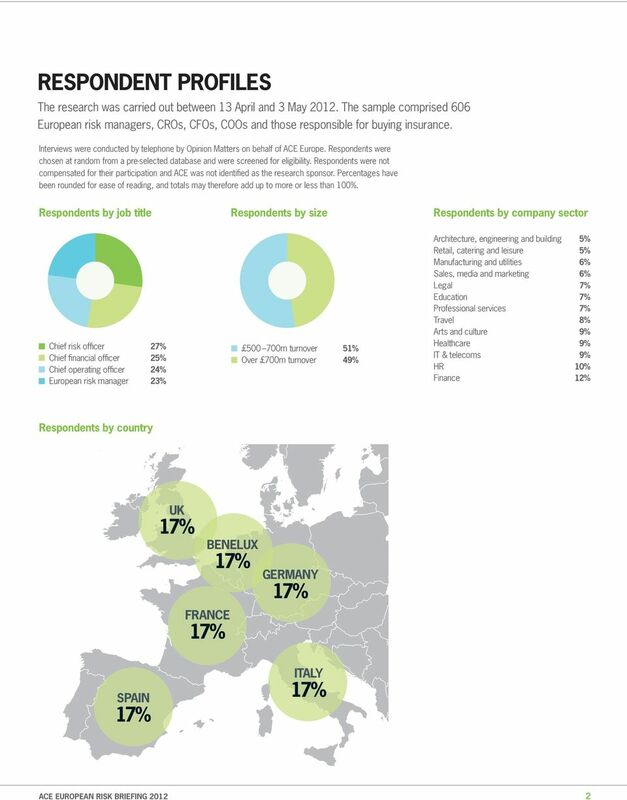 OECD PROJECT ON CYBER RISK INSURANCE Introduction 1. Cyber risks pose a real threat to society and the economy, the recognition of which has been given increasingly wide media coverage in recent years. The Recover Report. It s business. But it s personal. Cyber Security. CYBER SECURITY presents a major challenge for businesses of all shapes and sizes. Leaders ignore it at their peril.